Was born on March 23, 1933 in Moscow. He is a Russian scientist majoring in the field of thermomechanics of materials and heat-stressed structures. He is a Doctor of Engineering Sciences, the Honored Worker of Science and Technology of the Russian Federation, the Academician of the Russian Academy of Cosmonautics, Professor. In 1957 he graduated with honors from Bauman Moscow Higher Technical School with a degree in Mechanical Engineering. In 1959 Vladimir Stepanovich defended his thesis for a Candidate of Sciences, his scientific adviser being the corresponding member of the USSR Academy of Sciences V.I. Feodosiev. In 1969 he defended his doctoral thesis on Dynamics and Strength of Machines, Instruments and Equipment. Since 1957 he has been working at Bauman Moscow State Technical University. In period from 1985 to 2008 he was working as the Head of the Department of Applied Mathematics, in 1988-1989 he was the Dean of the Faculty of Fundamental Sciences. At present he is a Professor of the Department of Applied Mathematics. V.S. Zarubin attended lectures of outstanding scientists: academicians of the USSR Academy of Sciences V.N. Chelomey, V.P. Barmin, K.S. Kolesnikov, the corresponding member of the USSR Academy of Sciences V.I. Feodosiev. Since 1957 he has been taking part in implementing and supervising the research work on thermal strength of rocket engines that were created in Russia. He was involved in work on thermal protection of the orbital spacecraft of the Soviet reusable transport space system Buran. V.S. Zarubin made a significant contribution to formation and development of the new scientific direction of Mathematical modeling of thermomechanical processes in materials and structures. He taught 21 candidates of science, 3 doctors of science. He created a Russian scientific school of Thermal strength of heat-stressed structural elements. He is a member of the National Committee for Heat and Mass Transfer of the Russian Academy of Sciences, chairman of the Thermomechanics Section of the Council for Thermal Regimes of Machines and Apparatuses of the Russian Academy of Sciences, chairman of the Dissertation Council for Mathematical Modeling, a member of three doctoral dissertational councils, works in the Higher Attestation Commission Expert Council on Aviation and Rocket and Space Technology, he is a member of the Editorial Board in two scientific and technical journals. In 1999 he was elected an academician of K.E. 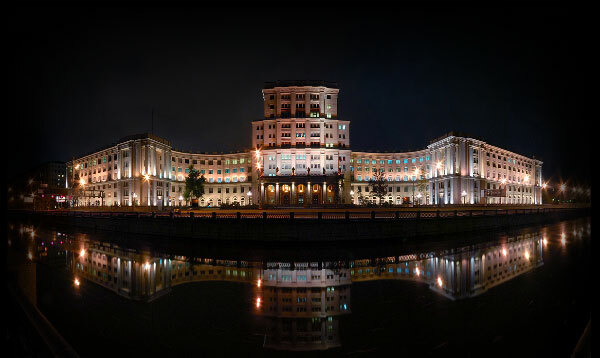 Tsiolkovsky Academy of Cosmonautics. For his contribution to space exploration he was awarded the medals of the USSR Cosmonautics Federation (Russia): named after Academicians S.P. Korolev (1984, 1986), M.V. Keldysh (1992), V.P. Barmin (1998), V.N. Chelomey (2003), V.P. Glushko (2008) and M.K. Yangel (2011), V.P. Makeev (2013), the Order of Honor (2000). In BMSU he created a Laboratory of Thermal Strength of Rocket Constructions. He also created branches of the Department of Applied Mathematics at Keldysh Institute of Applied Mathematics, Institute for Problems in Mechanics of the Russian Academy of Sciences and Central Institute of Aviation Motors. Zarubin V.S. is a co-editor and co-author of a series of twenty-one textbooks on Mathematics in a Technical University. This work was awarded the Prize of the Government of the Russian Federation in the field of science and technology for the year 2003. He has published more than 500 scientific works, 12 of them are monographs.